WOODBRIDGE, Va. - Two suspects in a shooting at a McDonald's parking lot in Virginia were arrested Tuesday, reports CBS affiliate WUSA. DeWayne Williams, 28, and Jamie Bowyer, 31, allegedly fled the scene Monday night after a 23-year-old man was shot in the face. 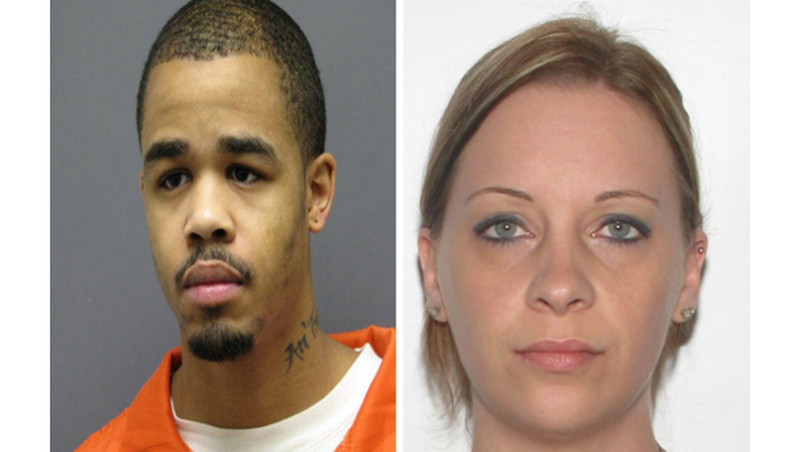 Police say the Woodbridge, Va. incident may have stemmed from a drug deal gone wrong. A man believed to be Williams was involved in a police chase following the incident Monday, but managed to escape by allegedly abandoning his vehicle at a local high school and carjacking another man's vehicle. The station reports a police officer spotted Williams just before 5 p.m. Tuesday, hiding in some bushes near Lake Montclair in Montclair, Va., about 10 miles from Woodbridge. The officer radioed for help, and a team of officers and police dogs managed to nab the suspect. Bowyer turned herself in sometime after Monday's shooting, police said. Police said the 23-year-old victim made arrangements to meet with Bowyer, an acquaintance, in the parking lot of the fast-food restaurant on Monday. He reportedly arrived around 6:50 p.m. and got into an altercation with Williams which ended with the shooting. Authorities have not said which of the two suspects allegedly pulled the trigger. After the suspects fled, WUSA reports the victim went into the McDonald's and someone at the restaurant called police. Police said the victim was flown to a nearby hospital for treatment.